Mayo (All-Ireland SFC Qualifiers Round 2 v Tipperary, 23/6/2018): David Clarke (Ballina Stephenites); Chris Barrett (Belmullet), Ger Cafferkey (Ballina Stephenites), Keith Higgins (Ballyhaunis); Colm Boyle (Davitts), Stephen Coen (Hollymount/Carramore), Paddy Durcan (Castlebar Mitchels); Seamus O’Shea (Breaffy), Lee Keegan (Westport); Kevin McLoughlin (Knockmore), Aidan O’Shea (Breaffy), Cian Hanley (Ballaghaderreen); Jason Doherty (Burrishoole), Cillian O’Connor (Ballintubber), Andy Moran (Ballaghaderreen). So it’s three changes from the team that lined out against Limerick in Round 1. Out go Eoin O’Donoghue, Evan Regan and James Durcan and they’re replaced by Lee Keegan, Jason Doherty and Andy Moran. There are also a few positional switches, with Lee’s selection at midfield seeing Stephen Coen move to centre-back and Chris Barrett shift to corner-back. 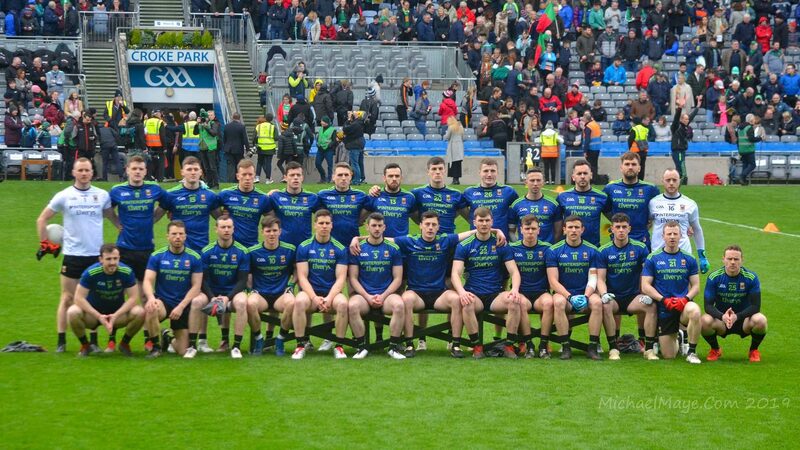 Comparing the team we’ve named to the one that lined out when we last met Tipp in the championship – in the All-Ireland semi-final two years ago – we can see that there’s a fair bit of continuity since then. Eleven of the team named for tomorrow’s clash also started in that semi-final two years ago, while a twelfth came on as a sub. David Clarke, Keith Higgins, Lee Keegan, Colm Boyle, Paddy Durcan, Seamus O’Shea, Kevin McLoughlin, Aidan O’Shea, Jason Doherty, Cillian O’Connor and Andy Moran all started that game, while Chris Barrett joined the fray from the bench. Tipperary named their starting fifteen and subs a bit earlier on. Full details are here. There were two other team announcements made today that also deserve a mention. The U17s play Sligo tomorrow in Round 3 of the Connacht championship, with that game throwing in at MacHale Park at 12.30pm. The team we’ve named for that fixture is here. On Sunday the ladies face Galway in the Connacht SFC final and details of both teams are here. That game is also fixed for MacHale Park, where throw-in is 4pm. It’ll be preceded by the Intermediate final between Sligo and Roscommon, which throws in at 2pm. Best of luck to all three Mayo teams in action this weekend. Sorry WJ but I dont see Keegan named in your selection there…but great hes starting anyway! Thanks, Mayo Dunphy – just noticed that myself. Fixed now, Lee’s named to start at midfield. Surprised that Diarmaid is not named Expect 2 changes, one in backs and one in forwards. Great interview with donegal 1992 all Ireland winning captain Anthony Malloy on the caseycars face book page about the up coming Tipperary game says mayo day will come. Great watch. Think Hanley as to start on that pitch doc in midfield. Best of luck to all that starts up mayo were ever you go. Cafferkey will start….a lot of people are pissed off that he is being name and not starting. Cian Hanley was just nervous against Limerick. Backdoorsam, you may be right. But not many teams would relish meeting them. Best of luck to team and management. Strong team – maybe a change or two. Going to be a very tough test tomorrow, still expect a convincing win. Caff might start as he’s been doing ok and he brings a physical presence but I would be surprised if Hanley does. I can’t see Stephen Coen starting there either. Midfield might be the place for Leeroy but Diarmuid could end up there come throw in. Harrison must still be injured. I duno, what will be the plan for Quinlivan? Caff marking him with a sweeper? Forgot to say I’m v happy with Keegan at 9. Back to swashbuckling performance like against Ros in 1/4 final last year. Average age of that team is 29 ! Keep 15 on the pitch and no injuries, that’s all we can ask. any word of the who are the subs? Expect Vaughan to start and DOC. If not we will have plenty of experience on the bench. If Leroy back to his best, would love to see him in Midfield. Not convinced Lee will start. I think Diarmuid will come back in too. I thought James Durcan the most likely to develop into impact sub this year. Disappointing that he is not starting. Cafferky and Coen up the centre of our defence worries me. But then how much creedance can we give to named team, why do we bother at all. Hopefully Tipp will give us a decent test. Glad to see Keegan being tried at midfield, he will prove a handful…. Actually no problem with Caff starting. I think that team will start and dont have a problem with it as good sub’s to come on . Who is in, and who is out?.. Who’s out, who should be in? It’s hard to know, where to begin?………………. 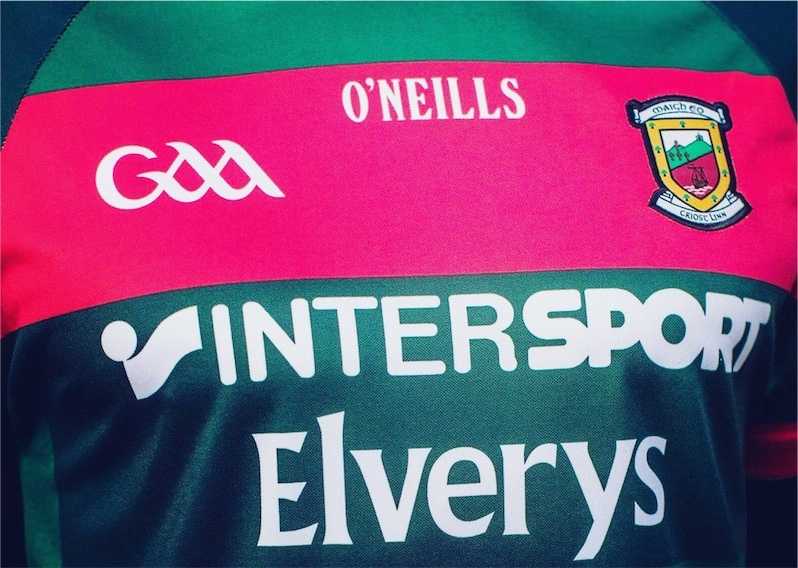 Twenty Six places come what may And on this Blog , plenty to say!…..
Any man can called on, during game time ……………………………..
We sure have dreams, and some have song’s to sing……………..
Thurles will be our home for a day, History meets hope, when Mayo play away! Diarmuid ought to start. Is Lee up to the intensity of the opening 20 minutes of championship, I’d doubt it slightly but you’d never know. I hope Fergal Boland, James Durkan and Evan Regan come off the bench with 10-15 minutes to go. Mayo by 2 after a humdinger of a game. As before we won’t know who’s playing until 5 pm tomorrow. So there is very little point in discussing the selection. What I want tomorrow, apart from a win, is to see a more cohesive and consistent approach and an indication of a more settled team. I’d have my doubts Hanley will start as Diarmaid has way more experience. Apart from that I think the rest will start. I don’t think Coen gives enough going forward from CHB compared to e.g. Donie but maybe he can do a good job defensively. One of ye would be dropping SOS but I wouldn’t.. in the absence of Tom we need at least one seasoned midfielder to start. Lee being picked in midfield suggests he won’t start there. Out of interest has a Rochford team ever started as selected? I would expect D O Connor to start and Hanley won’t. Taking no chances as not playing a very poor Div 4 team this weekend. Tipp are still ideal team to play as they leave themselves open at the back. Goals will likely win this tie again and Mayo should score 2 or 3 goals. Shuffly Deck you’re spot on. No way Seamie won’t start we absolutely need one seasoned midfielder on the pitch with TP out. Wouldn’t mind seeing Lee at midfield for a while just to see how he does. All the talk about us not developing players during the League and from year to year is nonsense, most players we have have proven to be adaptable to most positions. Granted we don’t have the strength in depth that Dublin have nor the tendency to produce quality like Kerry have down through the years but obviously Kerry have been at this level consistently for decades. It’s relatively new for Mayo to be so consistent, never before have we contested in the latter stages of the championship in a run that has lasted 6 years so far. We’re learning from it which is good for our future. One more sleep, safe travelling to all. Mayomagic I think the team he named v Limerick started Doubt if that named team will start. Like Coen and Caff but not that strong as spine of our defence. Tipp FF line has huge potential Quinlivan well able to win his own ball from long deliveries, Sweeney has serious eye for goal, McGrath captained minors to win AI in 2011. Full back line needs serious protection. Would also hope our forwards have too much for their defence but need to stop over relying on Cillian and Andy. 9 points from rest of team v Limerick does not bode well.Hopefully some more step up tomorrow. Great to see Stephen Coen getting another start from our management team. He really is the first name on all our lips when we as supporters select our preferred starting 15. I sincerely think he is up there now with AOS, Cillian and super Kev as a must start player every single time. Legend in making in my book !!! Previous commebt should say lasted 7 instead of 6 years. @to win just once Andy Moran was named to start v Limerick but didn’t start. Good Tipp full forward line no doubt but only as good as how much ball they get and time and room they get to shoot. No surprise one of the most experienced lines on the Mayo team is the full back line. Im starting to think that there are a few trolls commenting on this site now. Firstly thequietman with his constant fawning of david drake in the last few weeks and now thomas birwitt saying that stephen Coen is the first man on the teamsheet, a fine underage player but a long way to go to prove himself. Simple ball handling skills and decision making are a serious issue. Hard to know what team will start. As we know by now wth rochford, he usually has a trick or 2 up his sleeve. Don’t see Hanley starting unless Rochford is punishing Diarmuid for costing us the game against Galway. Be no harm for him to know his place isn’t guaranteed. Delighted to see Keegan have a crack at midfield, especially with Parsons missing, they need someone to get on the ball and control the game. @ Dave Johnston, I have to agree with your thinking re some “odd but consistent” comments by some new users about very specific players. There is another chap who seems to be obsessed with the player you mentioned plus 2 others players who should start irrespective of proven performance of starting players…. I enjoy this forum and it’s facility but some comments are bizarre. Anyway, it’s game day. Fine day for it too. Mayo by a good few. Dave Johnston/Mayo 13BG – no rules were broken in either case but I can see what you mean and why you’d be of that opinion. From my perspective, moderation certainly isn’t getting any easier as time goes by! Game day at last!! Safe travels to all and don’t forget the sunscreen!! Agree with you Conor I don’t think it would be any harm to put a bit of smock on Diarmuid, as we know only too well indiscipline has cost us in recent times. Any way it’s game day, let’s get it on lads and ladies. Looking forward to Semple and Hayes before. Other half is from Tipp so will be an extra enjoyable day…..le cúnamh Dé! @ Willie Joe, it’s a tough job you have in fairness but this platform is fantastic nonetheless. Our fate is partly inthe hands of Maurice Deegan. That makes me nervous. Great to have Lee, Diarmuid and Donie available. Mayo Exile most managers do it. It’s part of the game almost at this stage. Unless the GAA put in place a ruling that a definite team must be named 18hrs before throw-in but even if they did players get injured in warm ups and so on. Hard to nail down. Greenandredtothebone,I think getting sent off against Galway was enough “smock” for Diarmuid.We need our top players playing. Conor – spot on! Expressed same view on previous thread. Either way I’m not convinced is currently a top player as others suggest – performances ytd have been poor overall. Glad to see Hanley get his chance to develop further. Would like to see 1-2 more younger guys start come 5pm. We need depth to our panel if we wish to survive the journey into Death Valley over the next 5 weeks ! I dont envy your job WJ. Youd need the patience of a saint id imagine, its the only place to come to for a balanced discussion though. Game days are a time to avoid news articles on other sites with the commenting option as 90% of them are having a pop at us. All we can do is keep proving them wrong. Depth to our panel will be irrelevant if we don’t win today. Put out strong team. If young fellas are good enough they will break through. The older chaps haven’t done too badly up to now. Having said that I am sure a few of them would have preferred slightly cooler temperatures in Semple Stadium a big open pitch Subs will be crucial today Come on Mayo.